​Life is crazy and out of control. Or so it seems sometimes. Terrible and hard things happen. Sometimes, life may even seem hopeless. The world describes hope as "to wish for, to expect, but without certainty of the fulfillment; to desire very much, but with no real assurance of getting your desire." We want something to happen, so we hope for it. We want a desired result, so we hope for it. But this type of hope can be fruitless and empty. What happens when we do not get the result we are hoping for? When we hope as the world hopes, we can be left ... hopeless. But the Bible tells us of a better hope, of a true hope. The Bible tells us that God is our hope. And through this hope in God comes joy and peace - even if we do not receive the (worldly) result we have been wanting. 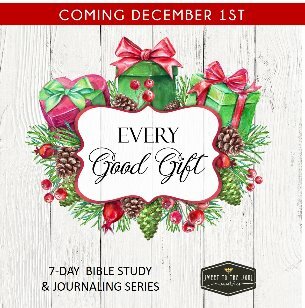 Because God provides us with the gift of a beautiful hope for more than earthly results and earthly things and earthly achievements and earthly healing... God provides us with a hope for the future, a hope for eternity with Him. 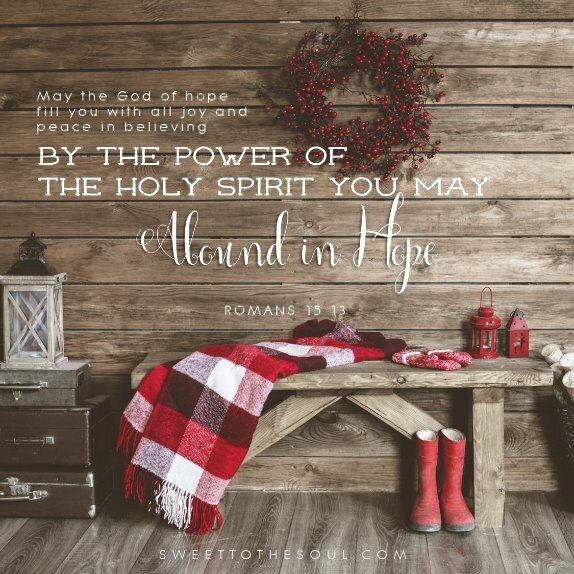 This hope is beyond any earthly hope and can sustain through our disappointments here, until we are there with God in eternity. Thank you Lord for the anchored hope we can find only in you. Thank you for giving us a place to rest in this hope and for replacing our disappointments and anxiety with joy and peace. Help us to share this hope, joy and peach with others. In Jesus’ name, Amen. This Journaling page spread was actually added to my Bible earlier this year. 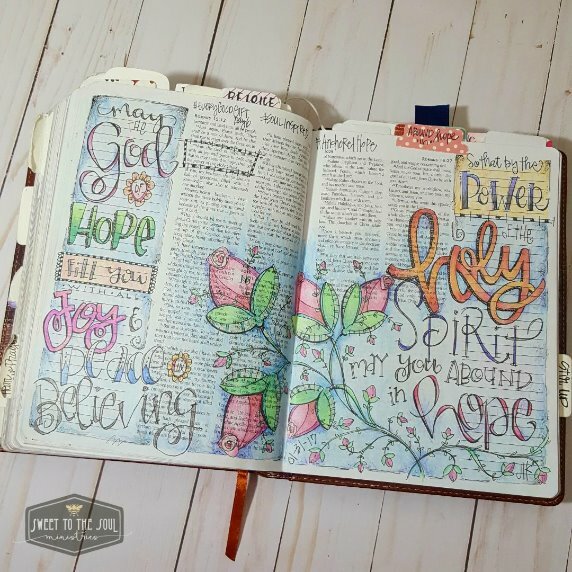 At this point in my Bible Journaling, I only lettered and colored with colored pencils. ​So this spread was sketched in by pencil, then inked over with a Prismacolor marker, and lastly colored in using colored pencils (my set is a mix of Crayola and Prismacolor brands).